Anna University Regulation 2013 Syllabus has been revised for the Students who joined in the academic year 2013-2014. So revised syllabus for Anna University Regulation 2013 is given below. 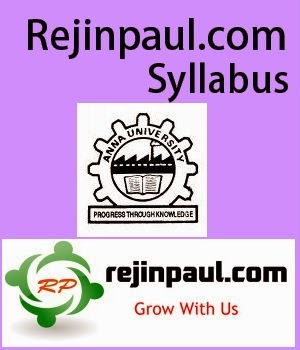 you can download Regulation 2013 1st 2nd 3rd 4th 6th 7th 8th Semester Syllabus from the below link. Syllabus 2013 regulation for 1st 2nd 3rd 4th 5th 6th 7th 8th Semester will be updated shortly and same can be downloaded year as soon as University announces. Anna University Syllabus Regulation 2013 is given below. Syllabus for Regulation 2013 Students can be downloaded here.